-> Before i start the view lets make it clear was bullish at 5700 a month back and we did see a move from 5600 to 6100 almost but not enough to our minimum target price of 6200. -> Since than the big falls in broader market and a crack below 5700-5600 we have become extremely cautious as the trend has broken down and one should be ready for the worst. -> Technically the long term trendline since 2008-2009 and recent bottoms have been broken confirming a trend change to the downside. Only difference is broader markets are close to 2011/2012 lows so panic might be a bit slower in quality stocks. Also the weightage is very polarized in Nifty and one needs to now get stock specific. Now lets go with the India Vix and Nifty co-relation which we generally use in panics or whenever India Vix starts touching 26+ levels. -> The current scenario seems very similar to 2011 where we saw a trendline breakdown with S&P downgrading US and next 3-4 months were panicky and volatile. -> India Vix is now back to 30. This is generally an indication of panic and fear. There has not been any global correction and if that adds to the market we could be seeing much higher levels. -> The last few times what we notice is India Vix either tops at 28-30 or sees a much bigger panic and goes to 35-38 levels and stays there like in 2011. -> Given we have a major trendline breakdown like 2011 and the first hit in India Vix it seems we may get into a similar 3-5 months period of bottoming out. -> Given the downtrend there is no point taking a number for Nifty as support as there is no guarantee which one will hold. -> A good trade can come in when India Vix sees a panic to 33-36 levels with global markets and Nifty makes a sharp dip. Till then it remains a time to stay out and keep wait for low risk-setups either on long/short on particular stocks. ->Although trend is down but there will be 8-10% bounces in Nifty after sharp drops which will give trading opportunities on both sides. -> The biggest silver lining is after touching 28-30 India Vix either Nifty makes a quick fix bottom like it kept doing in 2010 or make a 3-5 months bottoming out phase like 2011 which gives a 30-40% bounce ( 2012 ) . We are ruling out a 2008 like scenario because it had a euphoric precedence unlike today. Although the trend is clearly down but the silver lining is the fact that India Vix has touched 28-30 levels and fear has already crept in to markets and Nifty generally tends to make durable bottoms very quickly or in 3-5 months . Also this 3-5 months give excellent bottom up buying opportunities for patient traders. We are keeping the strategy simple. When in doubt stay out. Wait for the right time and right setup. Keep looking for good companies. RSI at 2008/2011 Lows – Big Buy Opportunity coming – Nifty Technical Analysis – Video !! Technical Trades – December 2013 and a 30% discount coupon – With additional picks At Rs 699 only for 2 days. Nooresh has written 2726 articles. You can follow Nooresh Tech on Facebook and Twitter here. Smallcap Index Cycles 2005-2018– Its darkest before Dawn. How to survive the Smallcap Crash in 2018 ! Smallcaps can be Brutal if you are not Careful. 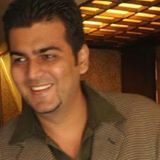 Nooresh Merani - An IT engineer by qualification and Advisor/Trainer by profession. Also consults for an institutional broking firm. I have been blogging for the last 8-10 years with detailed, crisp and accurate views on Indian Stock Markets as well as global indices and commodities. Guest Analyst - CNBC, ET Now, Bloomberg etc.